This is Zhu Chunxuan, the son of Zhu Huaiyuan. He belongs to the group of Yang stylists coming down from Wang Yongquan in Beijing (Zhu Huaiyuan being one of Wang's senior disciples), who got most of their teachings from Yang Jianhou. As for the stuff that Zhu displays in his push hands (not just this clip), can't really help out there as I have never experienced anything like this. Why would you want to know about this "skill?" Even in the (vast) corpus of appalling Taiji demonstrations, this has to be one of the silliest I have ever seen. well... its easy if you have someone pretend it works. He didn't even lock it in place by getting it up his nose, silly man. More recent video from same website. don't know about the nose, but the other videos look interesting. Now I can tell you again how to figure out when someone is lying to you and cheating you. When someone presents a ridiculous demonstration of skill such as this, they are lying to you and cheating you, because they are presenting some game to you which may or may not be real, but if it is real, that is not how they train and practice it. So whether or not it is real you can never learn anything from it. Maybe if you join their group and give them a lot of money you can learn to do the same trick, and maybe if your lucky you can learn to use it in a fight. But I doubt it. Now go look at the videos of Ma Yue-Liang doing push hands, or the videos of Feng Zhi-Qiang doing applications (particularly the recent BKTS app video shown, which was beautiful). It is night and day, when you are being shown the truth and when you are being shown some kind of fakery BS. The real stuff looks like the move, it looks like how you train. The fake BS stuff is just some kind of parlor trick. Real martial arts, for the most part, is actually very lonely and boring, at least in the sense that you train the same stuff over and over again. You are not looking for some "new" magical demonstration of skill. You are looking for someone who can apply the basics in a way that seems magical. But it has to come out of the basic practice. Last edited by Appledog on Mon Apr 01, 2019 5:24 am, edited 1 time in total.
" You are not looking for some "new" magical demonstration of skill. You are looking for someone who can apply the basics in a way that seems magical. But it has to come out of the basic practice." if one understands central equilibrium, what does it matter which point is used. Any point can be a center. Different teachers show this in different ways. Yep, very basic, might seem magical to those who don't understand what they're looking at. Here, a Wu style Tai Chi teacher, a student of Wang Peisheng, show how to use "yanshen", or eye spirit. (Some might just call this "yi", or "intent".) He speaks about how he travels with his eyes, look far away and just let his body follow. He keeps his body connected, structured and move it as a whole letting the eyes lead and the body follow. He doesn't say it right here, but as his opponent grabs his left hand, his hand is Yin and must stay Yin, so he can not move it as it would be force against force. He makes a cross connecting from right foot to left hand and step into his right foot following his eyes while his left side follows. There is more to it then what is said. with my teacher and his group this is very basic and is taught very early on. Well, he is demonstrating/explaining similar to what the 94 year old bagua master is demonstrating/explaining in this previous RSF thread, "what's this baguazhang master doing:"
. . . 1:39 - The students left wrist is being locked. Students right hand has an overly firm grip locking it in place. The right hand can't change because it's being used to push on the mans elbow. But when he pushes, the man turns his elbow to deflect the push while simultaneously locking the students left wrist. That's why the student jumps. He gets stuck on the right and wrist locked o the left. 1:55 - He's is explaining a single palm change application. He says, "So how do we use a single palm change?" as the student approaches and grasps the teachers arm at the wrist and elbow. He continues, "For a single palm change, this hand goes over here (referring to his right hand, the one under his armpit), When this arm (bottom) moves, actually the push his here (referring to his free arm as he pushes the air with his fingertips extended). "He then invites the student to come and push him again but this time he says, "This time I push with this other arm (gets pushed off his base) Right? It's this arm over here that does the pushing. (again, emphasizing the free arm)"
C.J.W. wrote: The old Bagua teacher is showing IMA body mechanics and principles with a cooperative partner; it's a learning process known as "feeding energy," or 餵勁 in Chinese, and certainly should not to be viewed as fighting applications. The idea is to have a training partner apply proper amount pressure to your body (analogous to a mother feeding a child) while you learn how to internally connect to his center and control his frame. IMO, he's mainly demonstrating how to shift between the substantial and the insubstantial (i.e., avoiding double-heaviness) by placing the energy (or intent) in the right place. Trur that! Nowadays this concept of Weijin seems to fade away, but I find it highly important of "baby stepping forward". meeks wrote: earlier he's saying "doesn't matter how you get me, you can't move me (single opponent). later at 1:09 he's saying in a thick beijing accent "lia ri lai" which is his thick accent for "liang ren lai" (2 people come) and he's using 'cheng jin' (expanding force) to repel them as a demonstration of his root - he also mentions earlier that he doesn't even need to move his feet to offset his opponents. I'm usually pretty quick to close a video on chinese bagua - too much flowery crap that's mostly contrived... but I'd say this guys got the chops. Might not have the power he had 30 years ago, but he still is a slippery opponent and can show it. power they offer can be hard to get, according to Zhang Xia Xin. get the pure Tai Chi power that combines softness and hardness. . . .
Zhang said the teacher sometimes has to show the student how to issue the different kinds of Tai Chi Chuan jing and to issue power on the student's body to show him if the power is used rightly or wrongly. 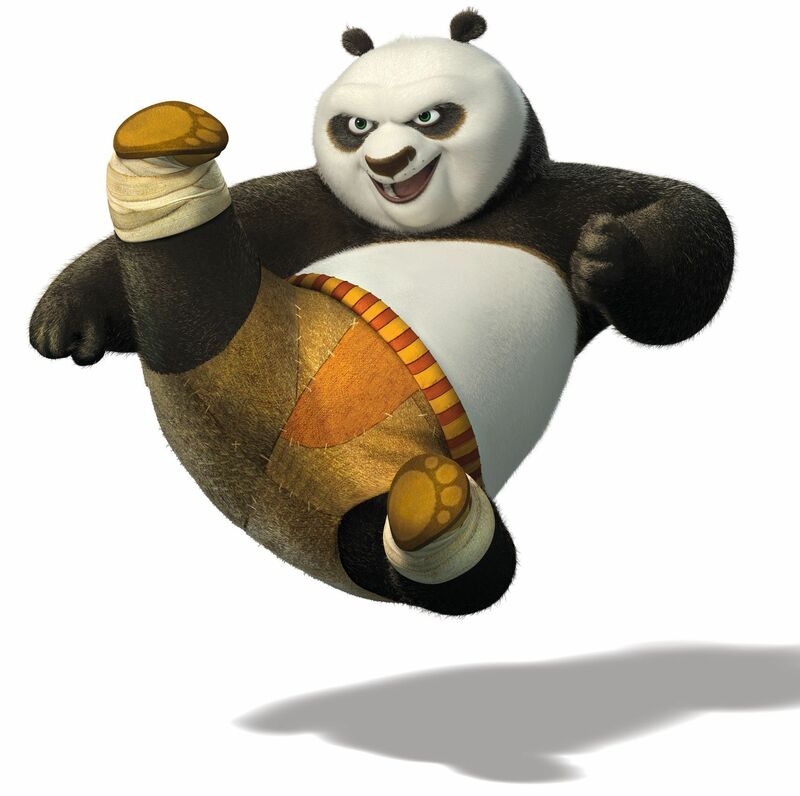 Zhang said Chen fake was famous for his high kung-fu and pure Tai Chi Chuan power. Chuan society, used his peng (ward off) power to throw the student out the door. was egged on to challenge at a national Tai Chi Chuan tournament in Tianjin City. The wrestler thought he could lift Chen, who was over 70 and throw him a few feet away. and threw him a few feet away. The wrestler had to go to the hospital. . . .
At that time all of the Yang style practitioners came to welcome him to Beijing and a lot of famous Yang style teachers had a welcoming party for him. But they didn't think he was a great master because he looked like a farmer. After dinner, some of them asked to push hands with him. One of them was Li Jing Wu, now around 80 years old and still teaching in northern China. Chen Fake used a technique and threw Li very far away and he hit a second person and both fell down. Chen also demonstrated the Chen form movement and when he did the first movement, stamping on the floor, he broke the floor. This surprised all the people at the party and they all wanted to become his student, including many famous Yang stylists. Zhang said another time, an army soldier came up with an unusual challenge which Chen Fake agreed to. Chen's hands were tied and he was to stand in a circle while the soldier used a broadsword to chop at him. Chen was not allowed to use his hands and he couldn't go out of the circle. When the soldier attacked with the broadsword, Chen used his foot to kick the soldier's wrist and break it, making him drop the broadsword. In order to get internal power, Zhang, who has studied the Chen style for 28 years, said it is important to focus on eight key concepts when practicing the form. They are: 1. opening, 2. closing, 3. moving up and extension, 4. moving down and shrinking, 5. empty, 6. full, 7. rolling, and 8. circling. Zhang, who is 65, said opening is from the inside to the outside and is like a flower opening its petals. Closing, on the other hand, is from the outside squeezing to the inside. Both these concepts have functions in self-defense as well as in form practice. . . .